Designed for 361-383-400ci Chryslers that measure 7.75'' across block. Dual-plane design results in excellent low-rpm torque and high-rpm power. High flow runner design will handle the popular stroker combinations. Recommended for high-performance street and strip applications. Will not fit 1962-64 Max Wedge heads. 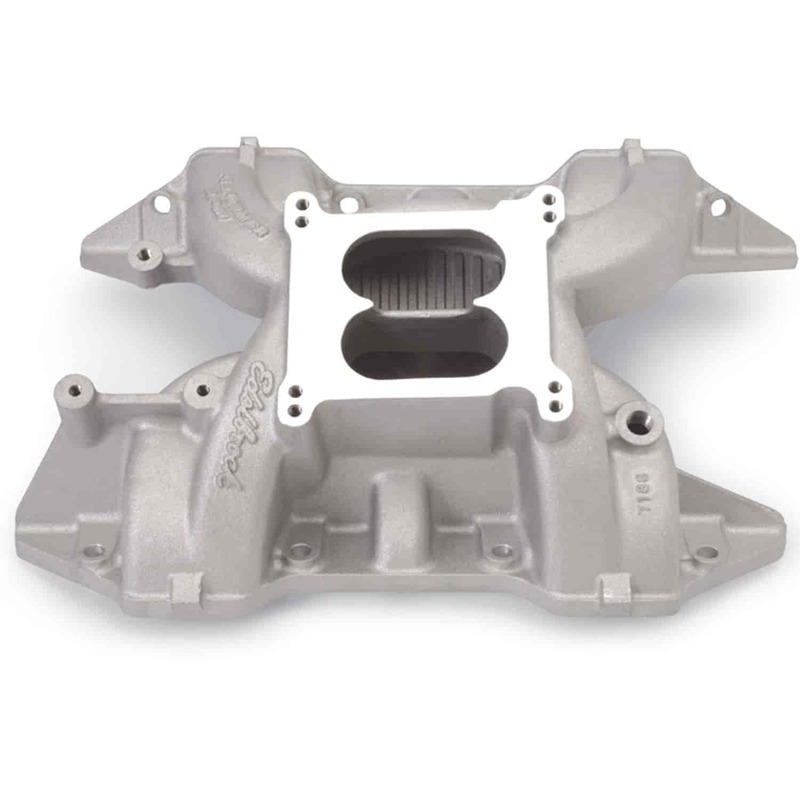 For the ultimate in street performance bolt on an Edelbrock Performer RPM manifold. These dual plane, high-rise intakes make incredible horsepower to 6500 rpm along with streetable torque for great throttle response. This broad power band makes Performer RPM ideal for street or strip. Their larger plenums and runners match the free-flowing exhaust, high-lift cams and other modifications of a high output engine. They are intended for high-performance street or competition engines that run up to 6500 rpm. They are not for emissions-equipped engines. Performer RPM manifolds match Performer RPM camshaft and cylinder heads for outstanding performance.